If I were to ask 100 people who name one of the most influential women of the last 100 years, my guess is that Mother Teresa would be on the top of most everyone’s list. This humble servant captured the world’s heart with the way she cared for the poor and forgotten, but many people don’t realize the mission of a woman started with the prayers of a little girl. One Wednesday evening, she joined a group of preteen girls as they listened to a letter being read. It was from a local priest who’d left for the mission field in India. Tears filled Agnes’ eyes. Agnes heard about the poverty and suffering of those in India. She listened as the letter told about the cruel caste system. The caste system meant that from birth there were those who would grow up only being allowed to work with garbage and human waste. They could never get a better job, just because they were born into a certain family. After the letter was read, Agnes turned to her friend, “Mary, wouldn’t it be wonderful to be a missionary? I want to help people and bring them God’s love.” At thirteen years old, Agnes knew she wanted to commit herself to God’s service in India, but her friends didn’t understand. Why wouldn’t she just stay in Skopje—where so many were in the need of the same thing? When the meeting was over, Agnes slipped into the church to pray alone. “Lord, show me the way.” (Prayers that Changed History). Agnes grew up and took her vows as a Catholic nun on May 14, 1937. She chose to be named after Thérèse de Lisieux, the patron saint of missionaries, and went by the Spanish spelling Teresa. She started teaching school in Calcutta, but her mind and heart continually turned to the poverty surrounding her in Calcutta. She later left teaching to live amongst and care for the poor, and she gained attention for her work in 1969 after a short documentary film called Something Beautiful for God. What I love about Mother Teresa’s story is that God called her as a young girl, and it’s a calling she clung to. I’m no Mother Teresa, but I understand. In my early 20s I felt a stirring to write articles and books, but I wasn’t sure if that was God’s plan for me. My friend Robin Jones Gunn encouraged me to look back at my life and take inventory of the passions that God put in my life at a young age. I grew up loving to read, and I spent a lot of time in the library. I loved books and stories. 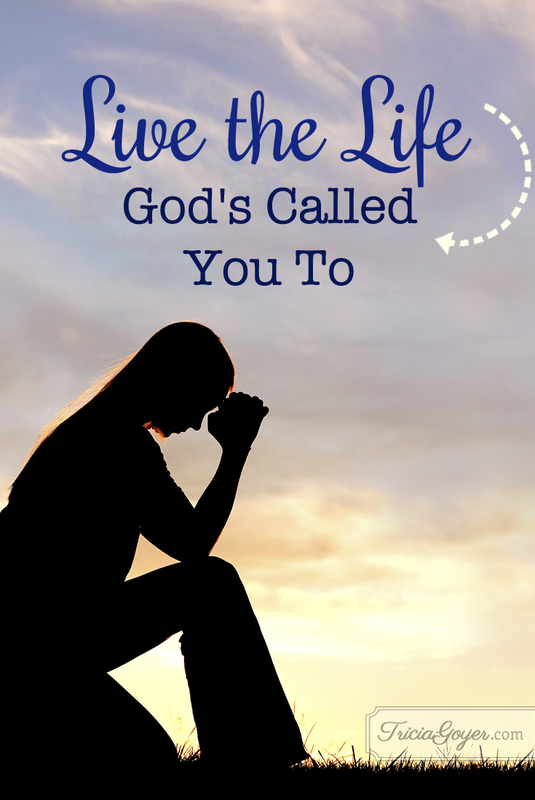 By looking back I discovered my truest self—who God called me to be. By looking back I understood my call going forward. God placed my love of story in my heart at a young age because He had big plans for me to use that for His glory. You made my whole being. God designed you and has a plan for you. The closer you draw to Him, the more you’ll discover what His plan is. It’s easy to compare ourselves with others. We believe that following God must look a certain way. We think that we must be called to a certain ministry or act the same way as a key Christian leader. But this shouldn’t be. There is only one Corrie ten Boom, one St. Patrick, and one Mother Teresa. Instead, be the person God has called you to be. He has a plan for you there. God does not give you a purpose and call to benefit yourself. Your unique gifts and talents aren’t to be used to make you rich or allow you to live in comfort. Instead, there’s a world that needs to be reached with the good news of Jesus Christ. Mother Teresa did not serve the poor to gain world-wide attention—although the attention she received furthered her cause. I don’t write to hit the best-seller’s list, I write to share the truth of Christ in ways that will impact people’s hearts—yet sometimes these messages cause the books to sell well. 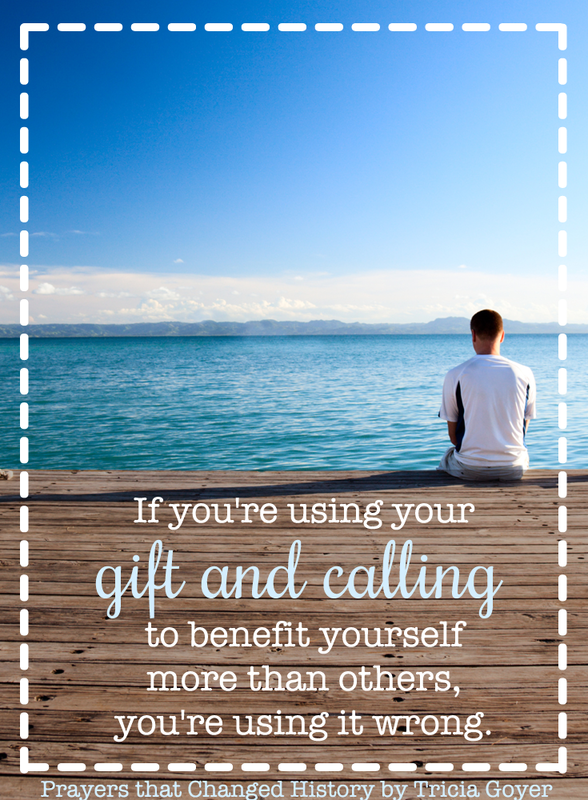 If you’re using your gift and calling to benefit yourself more than others, you’re using it wrong. There are many people who do great things. Mother Teresa isn’t the only one who has fed the poor and cared for the sick and dying. What stands out to us is that she did it in the name of Jesus, as a servant of Jesus. One of the mysteries of God is that He desires to show His strength through our weakness. If we think we can handle things ourselves and we don’t need God. We should be thankful for every time we fall flat on our faces or feel like giving up. It’s only when we are weak and needy that we realize that we need God. 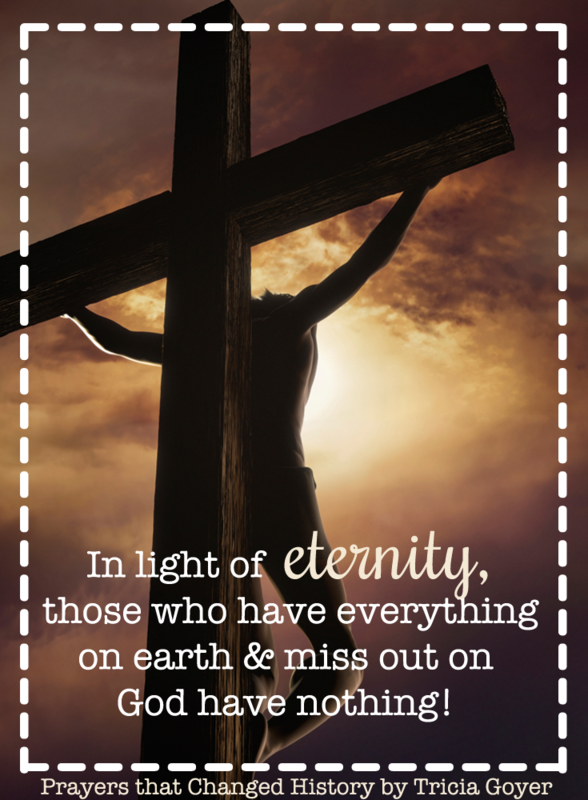 In light of eternity, those who have everything on earth and miss out on God have nothing. Those who give the most to others need God the most. And when they need Him the most they turn to Him the most. And when they turn to Him the most they discover Him the most. 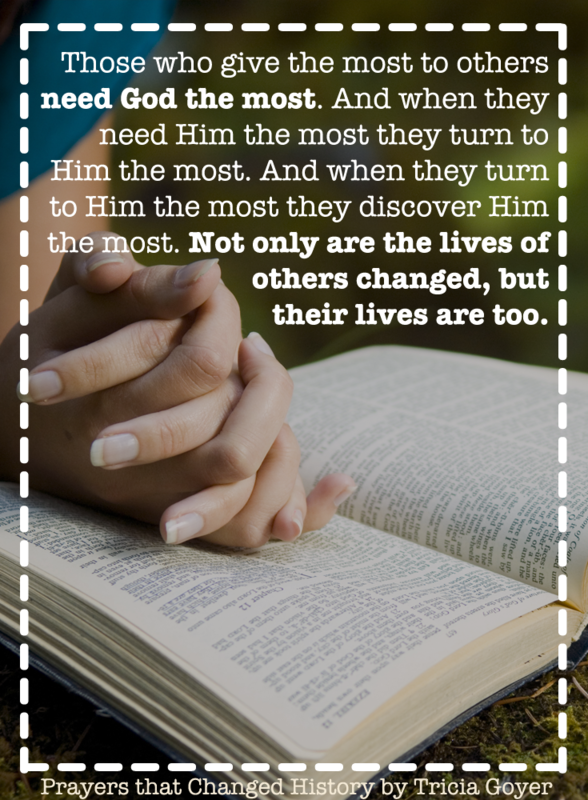 Not only are the lives of others changed, but their lives are too. Friend, God has a call on your life that will benefit others and will demand you to be faithful to Him. Yet He doesn’t place a call on you and send you off alone. He will be there every step of the way. The life God called you to may be more difficult than you ever imagined, but you’ll discover God in new ways as you serve others in His name … just like Mother Teresa. Click here to download the printable!